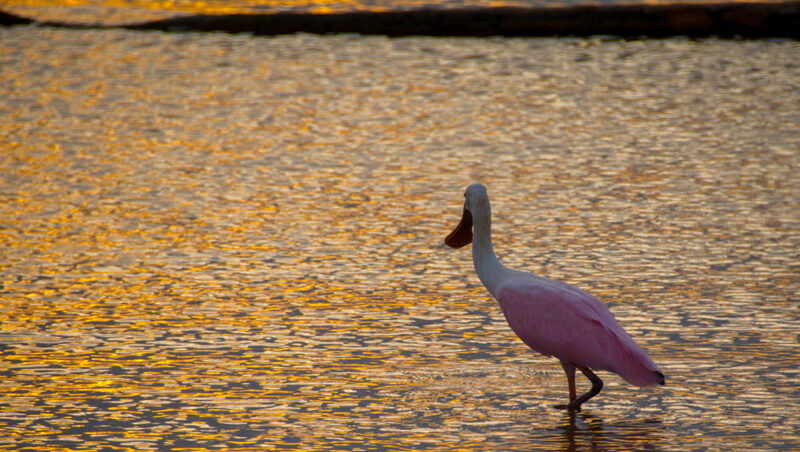 Matagorda County is a great year-around birding destination! The county is located on the midcoast of Texas approximately 100 miles southwest of Houston. It is bordered by Brazoria County on the east, Wharton County on the north, Jackson and Calhoun County on the west and the Gulf of Mexico to the south. The deltas of the Colorado and Tres Palacios Rivers are located in the county and contribute fertile riverine and estuarine habitats. There is grain, cotton and rice cultivation; also thousands of acres in turf grass production. Fish and shrimp farms provide valuable foraging and stop-over sites for tired, hungry and thirsty shorebird and waterfowl migrants. There is bay, beach and gulf habitat and even some unique thorn scrub habitat along the Inter-coastal Waterway (ICWW) near the town of Matagorda. The good news is that a lot of this diverse habitat is publicly available to birders and other outdoor enthusiasts. 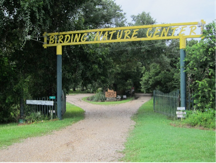 There are fee-based parks open to the public like the Matagorda County Birding Nature Center near Bay City. Public roadways border much of the crop and fish farm production. The beaches and bays are available to everyone with the outer reaches of these accessible to folks with 4x4s, boats or kayaks. 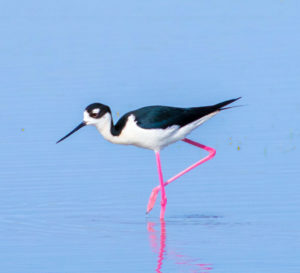 Data from eBird, the on-line database created and maintained by the Cornell Lab of Ornithology, suggests that it is possible to see 377 species of birds in Matagorda County. Obviously, some of these records are accidental and rare occurrences. Still, there are over 300 regularly occurring species that may be seen in the county. A further testament of the richness of avifauna in the county is the success of the Matagorda County Christmas Bird Count (CBC), conducted each year on the first Monday of the CBC count period that runs December 14- January 6. Diversity of habitat, access to that habitat thanks to the generosity of local landowners, skilled birders in the field and outstanding planning and organization by Matagorda County CBC leaders has made this count #1 in the nation for most of the last 20 years! eBird is a great place to find birding hot spots and there are over 30 listed. Also, the Texas Coastal Birding Trail on-line resource and brochure describes suggested birding stops in Matagorda County. And birders may have access to additional hot spot resources. This article draws on the above listed resources and personal experience to offer a “Top 10 Birding Hot Spots for Matagorda County”. For each of the birding hot spot his article shows a site name, GPS coordinates, rough driving directions, target species by season and other tips based on local knowledge. The Top 10 list is presented in descending order beginning with #10. The ranking is based primarily the total number of species listed in eBird for the hot spot, and secondarily by accessibility (somewhat subjective). The hot spot ranking will perhaps it aid birders in narrowing their options when birding in Matagorda County. #10 – Palacios Waterfront and Lookout Point (127 species) – The small town of Palacios sits at the top of Tres Palacios Bay, part of the Matagorda Bay complex. It is known as the “Shrimp Capital of Texas” because of the large fleet of gulf shrimpers that call the port home. In addition to the port activity, the open bay and adjacent salt marsh habitat offer good birding. During winter, Lookout Point (GPS coordinates 28.6961, -96.2309) is a good place to glass and scope for diving ducks and loons on the bay. Shorebirds and waders may be found on nearby exposed reefs and in the marsh. Also in the winter, you may get close views of Common Loons diving for fish that seek the deeper, warmer water of the port turning basin. Be sure to look the loons over carefully since Pacific Loon has occurred here. Other good places to scan the bay are the dock at the south end of 12th Street, along South Bay Blvd and from the end of the Pavilion Pier. Another good spot in Palacios is Trull Marsh (GPS coordinates 28.7112, -96.2107) along Hwy 35. It can hold shorebirds and Clapper Rail any time of the year, as can the Palacios Prairie Wetland just north of Trull Marsh. During migration, it might be worth a slow drive or walk down Collins Drive; it borders the south side of the Palacios cemetery (GPS coordinates 28.7066, -96.2284). This trees and scrub bordering the south side of Collins Dr. can be productive for warblers, vireos, orioles, buntings and grosbeaks. 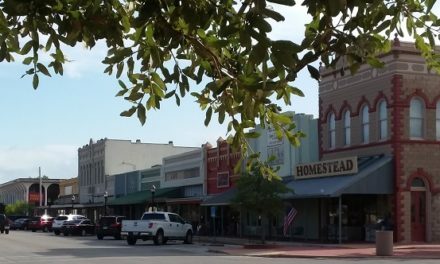 To get to Palacios take Hwy 35 northeast for 29 miles from Port Lavaca or Hwy 35 southwest for 29 miles from Bay City; it’s the same distance from both towns! #9 – South Citrus Road Turf Farm area (143 species): Matagorda County has thousands of acres in turf production and turf farms are usually large, wide-open places, along gravel roads. This turf farm at South Citrus Road (CR 383) is no exception and is one of the most productive for birding. In March and April, it is a great place for American Golden-Plovers. April and May bring Buff-breasted Sandpipers and Pectoral Sandpipers. 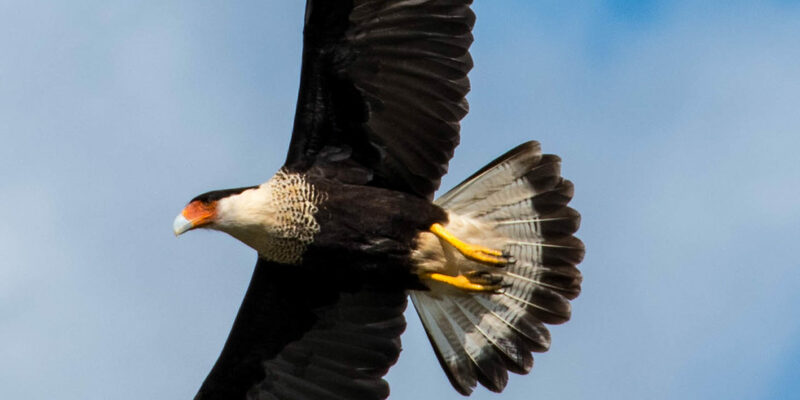 Where large numbers of shorebirds congregate, a Peregrine Falcon or Merlin can’t be far away; look for these falcons perched on the turf or irrigation pipes. Another good indicator of their presence is when all of the shorebirds flush at once. Horned Larks are resident here and usually reliable. In winter, the turf and grassy edges of the road are good for Sprague’s Pipit. Mountain Plover is occasionally found here from January through early March; the best place is the field where Henry Rd intersects South Citrus Road. #8 – Sargent Beach and environs (188 species) – The town of Sargent, southeast of Bay City, is named for George Sargent, a cattleman who immigrated to Texas from England in 1834. It lies on Caney Creek and about 5 miles inland from the Gulf of Mexico. Riverbend Road and Creekside Dr which are on opposite sides of Caney Creek, run through riparian habitat. Though this habitat is fragmented in places with nice homes and yards along the Creek, drive slowly during migration looking for warbler, vireos, orioles, buntings and grosbeaks. Sargent Ranch Road runs east from FM 457, just south of Sargent. This road can be good for marsh and scrub birds. Common Ground Dove and Ladder-backed Woodpecker have occurred here and the marsh can harbor Black Rail and Yellow Rail. Obviously, the rails are very secretive and a tough find. FM 457 continues south across the InterCoastal Waterway (ICWW) and then to the Gulf beach. The bridge over the ICWW is a drawbridge and a short wait may be required if barge traffic is heavy. It is interesting that the collection of houses on the beach here is called Bay City; not to be confused with the county seat of Matagorda County that lies about 30 miles northwest at the intersection of Highway 35 and Highway 60. The Sargent beach is very ‘natural’, meaning that it is tough to drive, even with a 4×4. Nevertheless, FM 457 parallels the beach for about a mile down to West Moring Dock Park (GPS coordinates 28.7633, -95.6302). This drive provides good views of the beach and the avian denizens here. Look for Red Knot and Lesser Black-backed Gull during migration and in the winter. To get to this hotspot, take FM 457 south from Bay City or from FM 521. After passing through Sargent, FM 457 dead ends at the Gulf of Mexico. #7 – Oyster Lake Rd and Oyster Lake Bridge area (188 species) – Oyster Lake Road runs north-south from near the community of Collegeport in southwest Matagorda County and dead ends at the ‘bridge to nowhere’. The fairly substantial concrete bridge across the west opening to Oyster Lake from Tres Palacios Bay, was built to allow local ranchers to access cattle ranging on the island south of Oyster Lake. The habitat along Oyster Lake Road is pasture and crop land as well as hedge rows, shrimp farms and salt marsh. The road goes from paved to gravel, 0.5 miles after leaving FM 1095. The gravel portion is generally in good condition even when wet but drive slowing to minimize vehicle damage from potholes. During migration, the loop road just past Franzene Road, called LeTulle Lane (GPS coordinates 28.6813, -96.1629) can be good for passerines. The shrimp farm on the opposite side of Oyster Lake Road from LeTulle Lane and along Franzene Road west of Oyster Lake Road can have dabbling ducks, shorebirds and waders. If any of the shrimp farm tanks are drained, these can be especially good for shorebirds. Continuing south on Oyster Lake Road, in winter watch the crop fields for Sandhill Cranes and falcons and during migration watch for passerines hop-scotching along the hedge rows. Oyster Lake at the end of Oyster Lake Road has salt marsh, a large salt flat and views of both Tres Palacios Bay and Oyster Lake. In the winter and during migration this area can be good for diving ducks, American Oystercatcher, terns and gulls and shorebirds. #6 – East Gulf Road (196 species): This paved road just east of the town of Matagorda, runs past the cemetery and along the ICWW over a crabbing bridge, turns north and eventually dead ends at private property. The road is bordered by a mix of wetlands, pasture and thorn scrub. The thorn scrub is especially interesting because it regularly produces Long-billed Thrasher. It is suspected that the species breeds here. Try the thorn scrub patch on the north side of the road at GPS coordinates 28.7082, -95.9226 or the one on the south side of the road at GPS coordinates 28.7067, -95.9362. Keep your eyes open for Brown-crested Flycatcher and Painted Bunting during breeding season. The small wooden ‘crabbing bridge’ at GPS coordinates 28.7109, -95.9145 is usually good for a mix of terns, shorebirds and waders. American Oystercatchers have also been reported loafing here. During the summer, keep an eye on tugboats pushing barges down the ICWW; they could have Magnificent Frigatebirds soaring above them. The Matagorda County Christmas Bird Count is a great way to access unique birding opportunities on private property in the East Gulf Road area. Contact the compiler for the CBC, Brent Ortego (bortego@hotmail.com) for more information. Otherwise, you will need to bird from the road and watch for fast-driving fishermen in a hurry to catch that first fish of the day. To get here, take Hwy 60 south from Bay City or FM 521. Just before reaching the town of Matagorda at GPS coordinates 28.6989, -95.9575, turn east on this great little birding road. #5 – Chinquapin Road and Big Boggy NWR area (220 species) – This is another one of those great Matagorda County birding roads that runs for about 12 miles from FM 521 south, ending at the fishing community of Chinquapin on the ICWW. It is a narrow gravel road the entire length with a high crown toward the end; be careful if it is wet. Chinquapin Road passes through pastures and crop fields for the first 8 miles. After that it borders the Big Boggy NWR with fresh and brackish marsh, finally ending at the ICWW. Enjoy the quiet drive and look for migrating raptors, passerines and shorebirds in the fields. At Big Boggy NWR, stop at the nice wetland on the east side of the road (GPS coordinates 28.7835, -95.8264) and listen for rails. South of the wetland a mile or so, you will see trees on both sides of the road. This is the place to stop and walk along looking and listening for migrating passerines. This spot is only a few miles from the Gulf and during ‘fall-out’ conditions, one of the places that passerines can be found in good numbers; more than 15 species of warblers have been report here in one outing. (GPS coordinates 28.7707, -95.8118). Continuing south, trees give way to wide open marsh. At the culvert, stop and look for shorebirds, Seaside Sparrow and in winter Nelson’s Sparrow (GPS coordinates 28.7602, -95.7816). To find Chinquapin Road, drive east from the town of Wadsworth on FM 521 for about 2 miles. Chinquapin Road runs south out of the ‘S’ curve at GPS coordinates 28.8350, -95.8889. #4 – W STP Road (222 species): This gravel road runs along the western boundary of the South Texas Power (STP) nuclear plant. The east side of the road is a mix of rose hedge, deciduous trees and viney undergrowth. The west side of the road is bordered by pasture and agricultural fields. An irrigation canal runs along the west side of the road for much of the way. During Spring and Fall migration, this is a great place for all manner of passerines such as warblers, vireos, orioles, tanagers, grosbeaks and flycatchers. In the winter, the brushy areas on the east side of the road are good for sparrows. Groove-billed Ani’s have been reported here too. One of the best ways to bird this road is to drive slowly watching for movement (foraging activity, birds that flush or fly over) and then stop to play screech owl calls. Birds will come to the owl call and attempt to mob the offending owl; be ready with your binoculars and camera. Take special note of the brush at the school bus. It is about 30 yards back in the trees; easily seen in the winter when the trees are leafless. Not so much in the summer. (GPS coordinates 28.7752, -96.0814). The road and brush line is somewhat exposed so a stiff wind can keep the small birds under cover. And, the early morning sun can sometimes make birding the brushy east side of the road more difficult; afternoons provide better light conditions. At the end of W STP road where the road makes a sharp right turn and the name changes to Corporon Road, is the Saha Fish Farm. This is good for waterfowl, gulls and terns, especially during the winter months. The roads on the levees of the fish farm are private so do not drive on them unless you want a lesson in Texas trespassing laws. To get here, turn south onto W STP Road from FM 521, just west of the STP nuclear plant. (GPS coordinates 28.7866, -96.0816) Bonus location: The STP nuclear plant manages the South Texas Power Prairie Wetland and each Fall they disc and flood the large field on their property along FM 521 at GPS coordinates 28.8052, -96.0377. The manmade wetland is a magnet for wintering waterfowl and shorebirds. It is also a great place to spot Bald Eagles that follow the waterfowl crowd around. #3 – Matagorda County Birding Nature Center (238 species): This park covers 34 beautiful acres along the Colorado River west of Bay City. The riparian habitat here features many large Live Oaks with Spanish Moss and many mature Pecan Trees. There are six botanical gardens, aswell as freshwater wetland areas with willows, cattails and duckweed. Also, there are palm trees, fruit trees, butterfly gardens, feeders and water features to round-out this interesting park. The well maintained trails in the park include pretty wooden bridges, a pavilion and public bathrooms; truly a delightful park. Birding is good here all year. Spring and Fall migrations features many passerine species like buntings, tanagers, orioles, warblers, vireos and flycatchers. In the Winter, sparrows abound. Pileated Woodpeckers and Wood Ducks are resident. Others birds known to nest here in recent years are Yellow-crowned Night-Herons, Great Kiskadees and it is suspected that Green Kingfishers have attempted nesting in the banks of the Colorado River. Overhead, in season, you may see a Bald Eagle, Mississippi Kite, Broad-winged Hawk, cormorants, herons or egrets. There is a minimal $3 entry fee per person or $5 per carload. Or you can opt for the annual pass for $20. Family memberships are slightly more. The fees cover maintenance and a camp host so the park is safe and enjoyable at all times. To get here, drive west on Highway 35 out of Bay City. Just after crossing the Colorado River bridge, there is a bend in the road and on the south side of Hwy 35 you will see the well-marked entrance sign. Once inside the park, there is a small welcome center staffed occasionally by volunteers. This is where you pay the entry fee and can get more birding information and even purchase a T-shirt. If no one is there, then please use the self-serve kiosk. For more information, call 979-245-3336 or go to mcbnc.org (GPS coordinates 28.9842, -96.0129) Bonus: Right next door to the Matagorda County Birding Nature Center is Tule Park. This is essentially the city park of Bay City. Tule Park features a nice duck pond and more majestic oaks with Spanish moss; worth a stop if you’re in the area. #2 – Matagorda Beach Jetty Park and environs (240 species) – The Lower Colorado River Authority (LCRA) owns and manages much of the property at the mouth of the Colorado River. They offer very good outdoor programs, with a bird trail, kayak tours and beach walks featured. 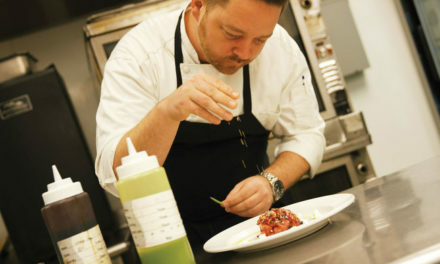 Check their website or call 979-863-2603 for the latest program offerings, times and meeting places. To get to the Jetty Park, you must drive through salt marsh habitat along FM 2031 from the ICWW to the Gulf. Drive slowly looking for Roseate Spoonbills, Neotropical Cormorants, Clapper Rail and Long-billed Curlew. At the beach, especially the lagoon area between the rock jetty and pier, look for Common Tern, Caspian Tern, American Avocet, Marbled Godwit, Snowy Plover, Wilson’s Plover in summer and Piping Plover in winter. A sea watch from the end of the fishing pier can produce Northern Gannet and possibly Jaeger during the winter months. A sea watch can be especially productive if shrimp boats are trawling near shore and culling their catch. Birds in the Gulf will usually be seen at long distances and it can get cold in the winter with a strong north wind. Dress appropriately and pack your patience. If you have a 4×4, then driving the beach to 3-mile cut or even the cedars at 7-mile can be productive for migrating shorebirds like Red Knots in the fall, spring or winter or for fall-out passerines in April and May. Use caution because the sand can be very soft in places and if you get stuck, digging out is not much fun and a tow can be quite expensive. To get here take Highway 60 south from Bay City to the town of Matagorda. At the 4-way stop in Matagorda, turn south and go over the high bridge that crosses the ICWW. This is FM 2031 and will take you to the Jetty Park. GPS coordinates for the Jetty Park are 28.5976, -95.9774. #1 – The Nature Conservancy’s (TNC) Clive Runnels Mad Island Marsh Preserve and TP&W Mad Island Wildlife Management Area (294 species): The Clive Runnells Family Mad Island Marsh was part of an expansive coastal wetlands and upland prairie system which, 60 years ago, stretched nearly unbroken along the mid- and upper-Texas Gulf Coast. In 1989, Clive Runnells donated to The Nature Conservancy 3,148 acres of this coastal wetlands and upland prairies. TNC obtained additional acreage in 1993 and today the Preserve totals 7,063 acres. Likewise, TP&W obtained for management similarly sized properties from generous donors. During Spring migration, a team of bird banders from the Smithsonian Institute mist nest in the thick brush along the ICWW and have documented many species of warblers and vireos. Ducks, geese, cranes, herons, egrets, bitterns, rails and shorebirds are abundant in the Preserve, especially in winter and during migration. Access to these properties is limited and one of the best ways to see them is to participate in the annual Matagorda County CBC. The Mad Island Marsh Preserve usually hosts dozens of birders during the CBC so space is limited. Contact Brent Ortego (bortego@hotmail.com) compiler for the count for more information about helping with the CBC. Another way to see the Preserve is to join monthly “Feathered Friday” events. These tours usually meet the third Friday of each month at 8 am at the main gate to the Preserve. Space is limited and it’s best to confirm dates and times before coming out by emailing Cathy Wakefield at cathywakefield78@gmail.com. This Top 10 list is offered as a starting point for birders wishing to explore the many rich birding opportunities in Matagorda County. Obviously, there other very good places to bird in Matagorda County including Selkirk Island, FM 521 River Park, Carl Park and Riverside Park to name a few. 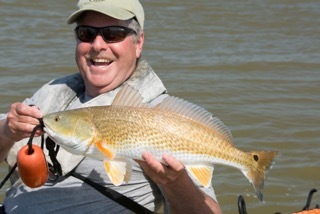 And if you have a boat, the new mouth of the Colorado River from East Matagorda Bay can be excellent. It’s great fun to find new birding locations and to learn something new about an old favorite hot spot. With at least 377 species possible, Matagorda County has something to offer for the intrepid, the casual and the novice birder. Come on down and try all of the hot spots or find your own birding ‘honey hole’. Either way you’re sure to have a great time and likely to find some interesting birds.